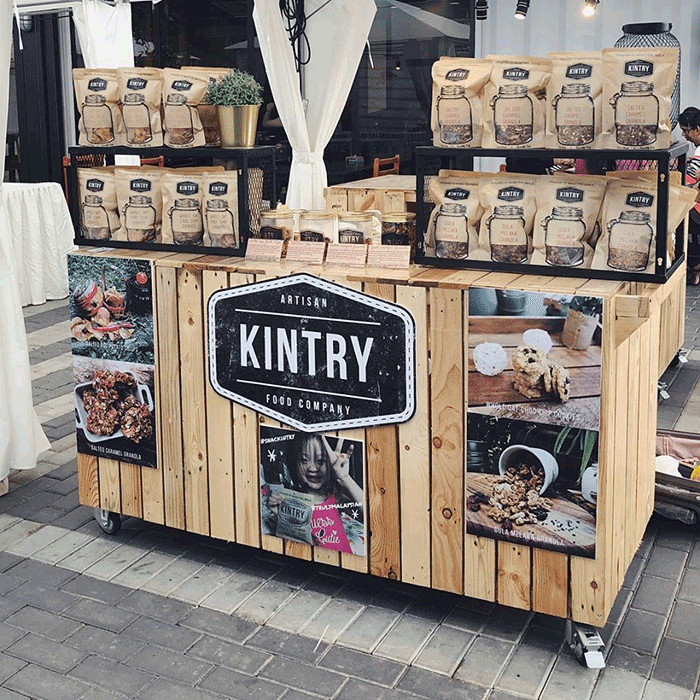 Kintry is a Malaysian brand of handmade snacks and food items created by stay-at-home mother Michelle Chai in 2017. Michelle started the business after spending lots of time cooking to cater to her daughter’s food allergies. 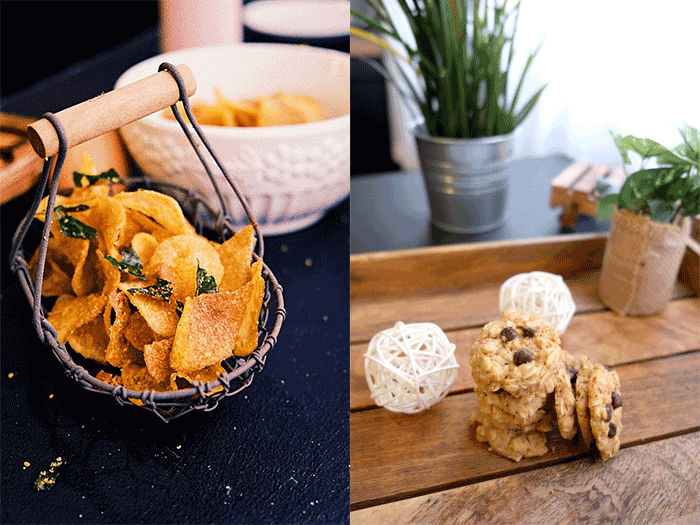 Products include salted egg potato crisps, granola, and oatmeal cookies. Often it’s the endeavours made out of genuine devotion—the type that comes from a deep-rooted love for something—that tend to produce the best results. And if you ask mother and F&B entrepreneur Michelle Chai, it’s this exact type of devotion that she pours into her cooking. 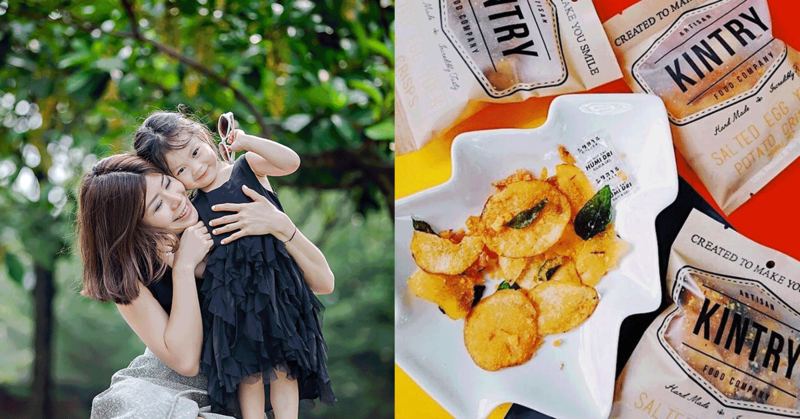 Michelle currently runs a snackfood business called Kintry (short for Kindred Pantry) that sells a variety of home-style favourites such as salted egg potato crisps, oatmeal cookies, and granola, and all of her recipes were birthed from strong family ties, particularly the one with her daughter Amelie. One thing eventually led to another, and she began her business in August 2017, initially making small batches to order. Towards the end of 2017 however, she came across a crossroads in her journey and felt undecided on whether or not to take on the business full-time. It was only after receiving encouragement from her friend and eventual business partner Andy Wong that she finally agreed to commit to Kintry fully. 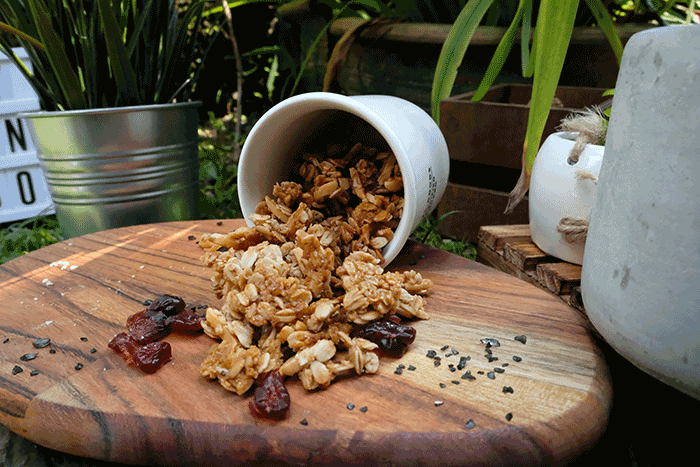 Currently, Kintry’s selections include their specialty salted egg potato crisps, uniquely flavoured granola packs, and butter oat chocolate chop cookies. The recipes for the snacks coming out from Kintry were all created by Michelle as a result of countless of nights of trial, error, and research, with some help from her friends. On the subject of growth and differentiation, Michelle offered her opinion that for smaller brands like hers to find footing and grow, it was important to work alongside others instead of always just trying to compete. That said, Michelle also explained that the main objective for Kintry is to now build itself into something Malaysians can identify with, and as such are always looking for new ways to work with others. For one, the art on Kintry’s packaging is done by a local Malaysian artist, with a refreshed look expected to debut in December in conjunction with Christmas and next year’s Chinese New Year. In order to take awareness for her brand up a level, Michelle also actively joins in pop-up markets around the Klang Valley and engages with customers to gauge reception and gain insights about their tastes and preferences. So far, she’s happy with the warm reception to her products. She’s also quite happy with how her products have now ended up in retail outlets such as Ruyi & Lyn, Atlas Gourmet Market, and selected BIG Supermarket and Village Grocer locations. Looking ahead, Michelle explained that Kintry would be introducing more variety in regards to their product line, and that they’d also look to receive Halal and Mesti certification to enable the brand to reach a wider market. Finally, Michelle also had some advisory words for others intending to try out F&B entrepreneurship for themselves. You can find out more about Kintry at their website or Facebook page.